(Tetum) With the maize planting season just around the corner, farming families will soon be choosing which varieties to grow this 2014-15 cropping season. Here’s eight reasons why farming families love growing Sele and Noi Mutin, the two more productive maize varieties released by the Ministry of Agriculture & Fisheries in 2007 and 2012 respectively. Thousands of farming families are members of MAF-SoL community seed production groups across Timor-Leste that are growing these varieties, storing the seed after harvest so their members have good seed readily available to use the following planting season, including making it available to other farmers in their local community. 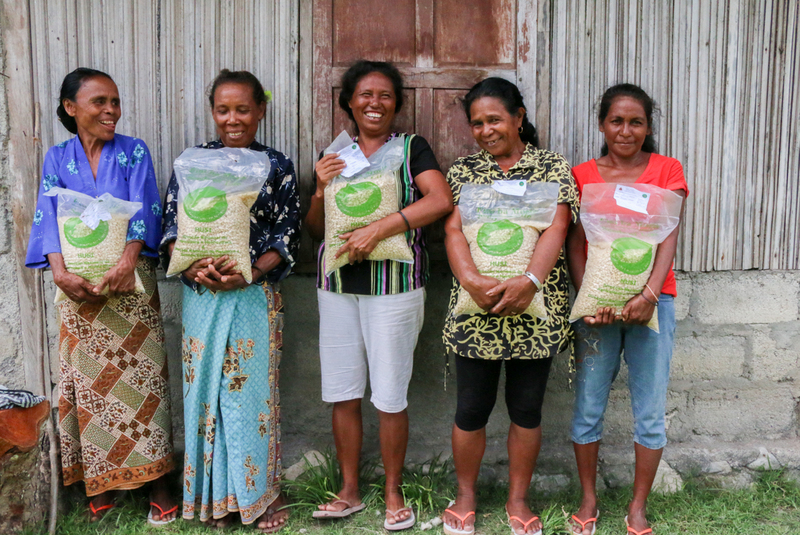 This seed is not imported and Timorese farmers are using seed they themselves produced, helping their country improve seed and food security. Farmers can benefit from getting bigger harvests just by using these maize varieties. Sele has been grown in Timor-Leste since 2001 and Noi Mutin since 2007, with both varieties proving to have consistently higher yields in research trials, many on-farm demonstration tests and in feedback from farming families. Sele and Noi Mutin maize are open-pollinated varieties that have been obtained through traditional plant breeding. Farmers can plant the varieties, harvest the seed and replant the seeds again the following cropping season. The varieties are public domain, meaning that farming families can use the varieties for free, forever. Neither of the varieties are hybrid nor have they been genetically modified. Both varieties were rigorously tested on research stations across Timor and with farmers for at least five years prior to release. They are well-adapted to the different soil, climatic and weather conditions across all districts, with many farming families reporting good results in all 13 districts. 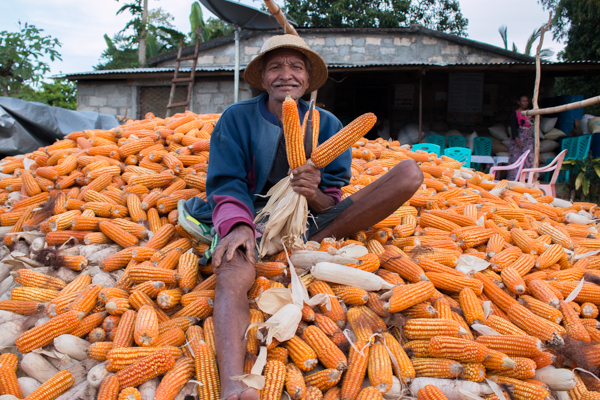 The varieties are further helping to reduce hunger in Timor-Leste. Prior to release the varieties were given a thumbs-up for their delicious flavour by hundreds of male and female farmers who participated in blind taste tests of maize varieties. Farmers found the varieties to be tasty and well-suited to the Timorese palate. Sele and Noi Mutin are also known to have a sweet taste when eaten soon after harvest. At harvest time, the plants are still standing tall, making it easier for farming families to harvest the cobs. This is because the plants are more resistant to strong winds and drought compared with other varieties. Farming families can easily sell the maize varieties soon after harvest because of their large cobs, which are greatly valued for their size. Many farmer families are making money by growing and selling the maize seed through the National Seed System for Released Varieties, helping to fund their children’s school fees and buy household necessities. Noi Mutin cobs are a vibrant white colour, while Sele corn cobs are a bright yellow colour. Their colours make them a beauty to look at and help spruce up any plate. Are there other reasons why you love Sele and Noi Mutin maize? If so, we’d love to hear your thoughts! Just comment using the form below. Watch this short animation to learn how to get good results from Sele and Noi Mutin, or learn how intercropping velvet bean with maize can help double yields!